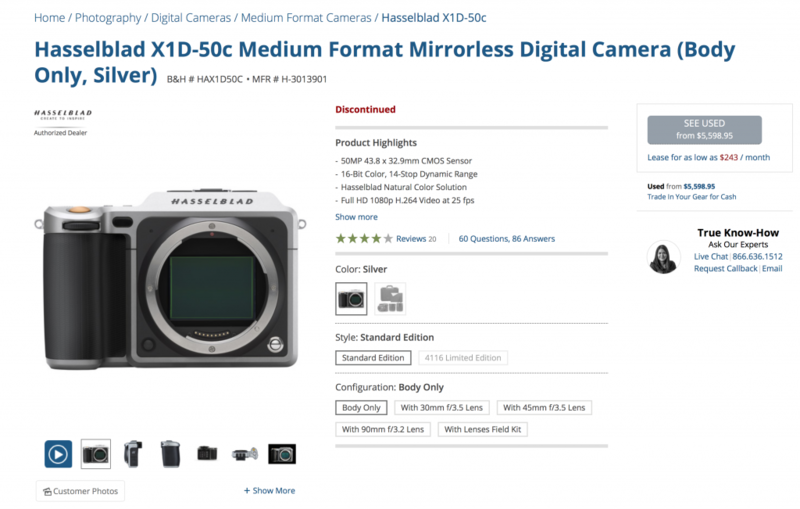 Yesterday I received an info by BHPhoto that the X1D camera bodies got discontinued. This is the first sign that the production and distribution of this camera has stopped. It is still unclear when a new model will be launched but this information seems to be a first indicator that it will happen soon.